We always knew the decision to take World Environment Day Festival back to Cotton Tree meant we would be at the mercy of the weather gods. With the east coast low lurking around the coast during the lead up to the celebration, to say that we were a tad nervous would have been an understatement. Luckily we had Channel 7 weather man and WED Speaker Livio Regano provide us with periodic weather updates, ensuring us that Sunday would indeed bring with it the sun. After two days of pre-festival set-up in the pouring rain, festival director and SCEC Coordinator Leah Hays was graced with an encouraging rainbow on the Saturday afternoon. If that were not a sign to go ahead, then we're not sure what is. And..what a wonderful testament to the hard work and commitment of the Sunshine Coast Community the festival turned out to be! As you can see below from some of the pictures, the day was a great success, with approximately 5000 people expected to have passed through the site over the course of the day. Our grassy patch in front of the main stage was constantly populated with guests enjoying the likes of 12 year old activist extraordinaire and entrepreneur Holley Sommerville, Comedian Rod Quantock, the North Arm State School Marimba Band and a selection of highly entertaining musicians. We even had people up and dancing! The fundraiser jetty bar proved to be the perfect spot to enjoy an afternoon drink and the community groups had a constant stream of interested folk keen to learn something new. The food was a real hit, with half selling out by the end of lunch! Our aim this year with taking WED back to Cotton Tree was to not only recreate the nostalgia of the past, but to engage a much broader audience with a focus on including those that may not identify themselves as environmentally minded. Given the central location, we feel we had a great mix of people enjoying the day, and are so thankful for all the hard work of everyone involved. SCEC would like to extend a big thank you to all of our member groups who participated in WED this year, and to all of the volunteers and sponsors who made the whole day possible. If you came along, we'd love to hear from you. If you'd like to write a review about the festival, please do so via our WED Facebook Page. To ensure WED continues into the future, please help us raise money to cover the costs of the festival by purchasing one of our $3 raffle tickets. The annual WED Raffle is still underway and will be drawn on July 18. We are aiming to sell as many tickets as possible to raise much needed funds to go towards funding the free, not-for-profit event. Tickets are just $3 and there are over 16 prizes to be won! You can purchase a ticket at the SCEC office in Nambour at 3 Porters Lane, through one of our valued raffle ticket sellers or via the SCEC website. Would you like to be in the draw to win 2x Woodford Folk Festival day and evening tickets? If so, contact us and become a raffle ticket seller. The person who sells the most amount of raffle tickets will go into the draw to win this wonderful prize! Contact the SCEC office on (02) 5441 5747 to pick up your raffle ticket book between Tuesday and Friday, or contact our wonderful volunteer Helen on 0413568404 who can arrange to supply you with a book outside of these times. Tickets are only on sale until 18 July so get in quick! In the Queensland state budget handed down on 14 June, we saw some welcome allocations to the environment and the Environment Department itself which received an 11% increase in necessary funding. This goes some way to restoring vital resourcing cut under the previous government. A representative of Queensland’s peak conservation group, the Queensland Conservation Council, was in budget lock-down and provided this summary of some of the key items relating to the environment and natural resource management. The Sunshine Coast Council adopted its 2016/2017 budget on 16 June with an increase in the Environment Levy for the first time in eight years. The environment levy achieves important environmental outcomes and with the annual levy now $70 (up $10) per rateable property, there will be more funding available for acquisition, community partnerships and environment programs. At a Federal level, it’s all about the forthcoming election on 02 July. SCEC is one of 40 member organisations of the Places You Love Alliance (PYL) who have been working hard to strengthen Australia’s environment laws. With an appalling track record when it comes to conservation, we need strong environmental legislation with oversight by the Commonwealth- not weakened even further by handing it over to the states with vested interests. We are encouraged by commitments by some political parties to instigate an independent National Environment Protection Authority, to reinstate funding to Environmental Defenders Offices and to rightly retain and strengthen national environmental powers. The Australian Conservation Foundation says the offices are a "critical part" of democracy, providing a voice for communities and the environment in the courts. "Australians need to be able to trust the national system of environment approvals," campaigns director Paul Sinclair said. It’s not often we see bi-partisan support for good environmental policy. As we know, the environment is too often politicised leaving it vulnerable to the consequences of a disastrous agenda. 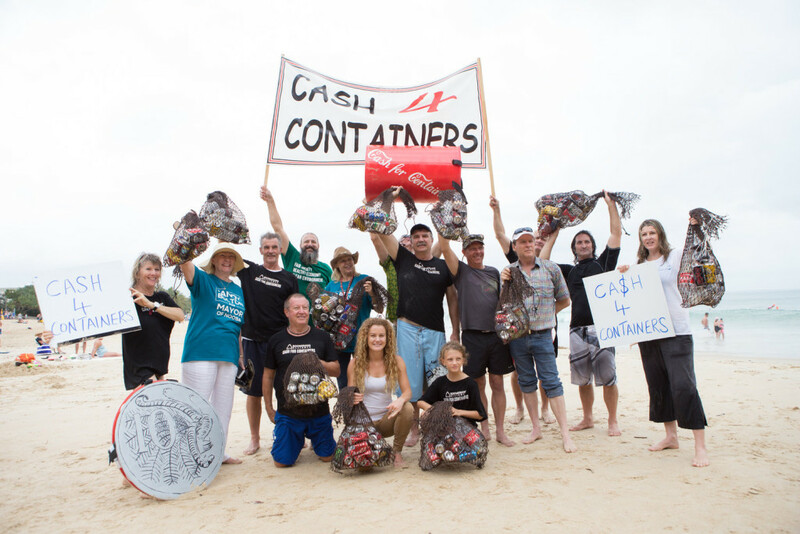 However, when it comes to introducing a Container Deposit Scheme (CDS) for Queensland, things are looking promising as there is no political divide. Read more here. The review of the South-East Queensland Regional Plan (SEQRP) is now underway. The population projections are indeed alarming and shouldn’t just be ‘accepted’ given such factors as increasing biodiversity loss, environmental stress and lack of infrastructure, so we must ensure sustainability underpins the present and the future. Here on the Sunshine Coast, the removal of Halls Creek as an investigation growth area (IGA) is still a priority. We must continue to push for it to be taken out of the SEQRP once and for all and for the important inter-urban break between the Moreton Shire and the Sunshine Coast to have legislative protection. The Sunshine Coast Council has made a preliminary submission to the State Government where they maintain their opposition to Halls Creek as an IGA. This well-founded stance continues to reflect the will of the community. Stay tuned for how you can join in the next round of the Hands Off Halls Creek campaign. It’s important to have your say about the future of South East Queensland, so please visit the Shaping SEQ website to express your views. You can also visit the Shaping SEQ ideas hub at various community events across SEQ. SUNSHINE COAST AIRPORT EXPANSION- ENVIRONMENTAL IMPACT STATEMENT: release of Coordinator General's report. There has been significant public discussion about the airport expansion project with it being a particularly ‘hot topic’ during the local government election campaign earlier in the year. 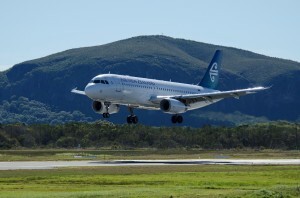 While there has been reported support for the ‘New Runway’ (and it is consistently referred to by the Mayor as a ‘game-changer’ and a feature of the Sunshine Coast Regional Economic Development Strategy), there is also concern about the robustness of the business case and a potential financial burden for ratepayers. Read more here. The Sunny Coast once again boasts a number of finalists in this year's awards including Surfrider Sunshine Coast for their awesome Clean Up Double Island 2016 and the Sunshine Coast Council and Moreton Bay Regional Council with Pumicestone Catchment Network of which SCEC is a network member . Voting closes on 27 June so please visit the Healthy Waterways Awards and be inspired by all the amazing activities and initiatives. Photographers who love capturing creative, inspiring and emotive images of the Sunshine Coast’s beautiful environment can now enter an art award with a difference launched on 17 June by Sunshine Coast Council. This years Annual General Meeting is being held on Thursday 30th of June from 4:30pm and is open for SCEC members and member groups to attend. There will be light refreshments and nibbles to enjoy over a social get together following the meeting. If you'd like to come along, we'd love to have you. Please RSVP here for catering purposes. Help us reach our target to raise $2,500 by the end of the financial year. Make a tax-deductible donation by donating online and share this link with others who may want to support our local environment at the end of this financial year. If online donations aren't for you, please call the office 07 5441 5747 between Tues & Friday to make a donation via other arrangements. Thank you for helping us reach our target this end of financial year. Your input is sought in developing priority saltmarsh restoration projects for South East Queensland. SEQ Catchments mapping team has made a start on analysing the values and protection levels offered to coastal saltmarsh across our region. View and contribute to the map here and find background and map editing instructions here. Recent imagery compiled by the Climate Council reporting on our worst ever coral bleaching event is devastating. Months after the initial bleaching, Tim Flannery and his team of scientists had hoped to see signs of recovery. However the areas his team visited were still in decline. "Having witnessed the damage, I can tell you it is an unmitigated catastrophe," Tim says. "You can see in the video that much of the coral on the reef we visited is sick, dying or dead. Corals that were bleached white a month or so ago are now covered in ugly brown algae. Other coral is bright white and under intense stress." Tim Claims that there has been a "concerted campaign to underplay the seriousness of the massive bleaching on the reef and to confuse the public." The decisions made in the next three years will be critical to the long term survival of the reef. This really is make or break. Let’s make sure climate change stays in the headlines and at the top of people’s minds in this federal election campaign. 24 June 2016 – 9:00 till 12:00. Barung Landcare Association. Join us in weeding trees planted in February to enhance habitat linkages for gliding possums, koalas and other wildlife. This property contributes to a key wildlife corridor between Reesville and Curramore. Morning tea provided. Register here. 26 June 2016- Noosa festival of Water here. 30 June 2016 – Sunshine Coast Environment Council AGM- 4:30 till 6:00pm. Join us for our annual AGM and enjoy some light refreshments and nibbles to over a social get together following the meeting. If you'd like to come along, we'd love to have you. Please RSVP here for catering purposes.